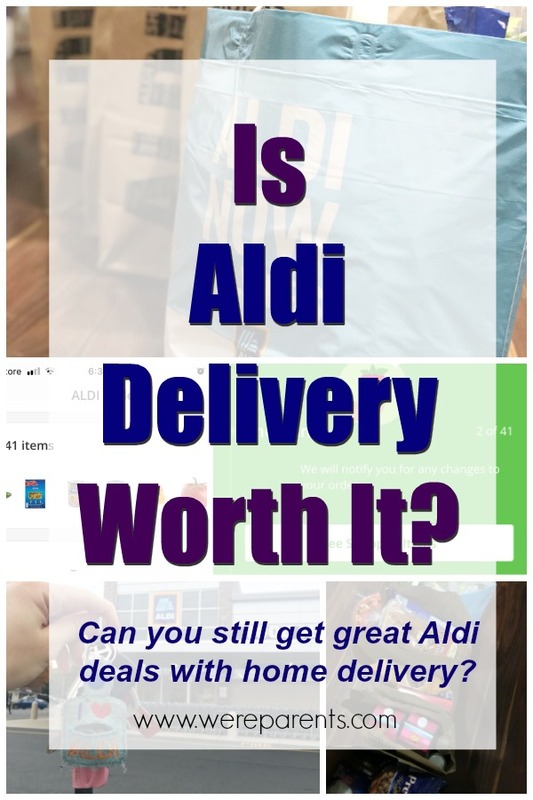 You are here: Home / Home / Aldi Delivery Service – Is It Worth It? Aldi Delivery Service – Is It Worth It? 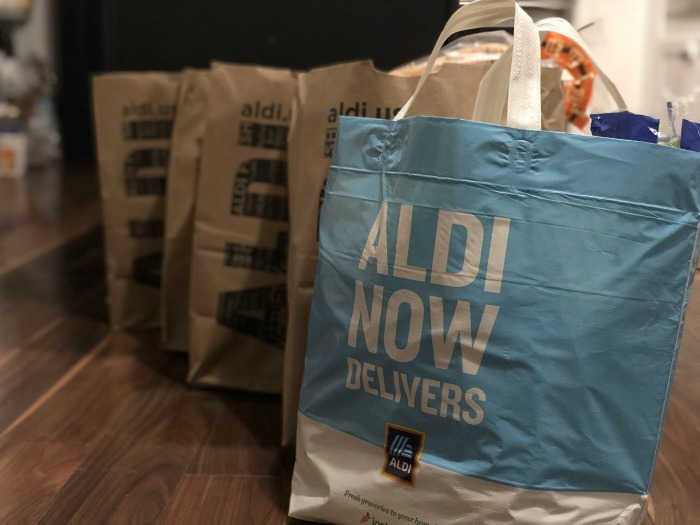 We tested out the brand new Aldi delivery service and we’re dishing all the details. 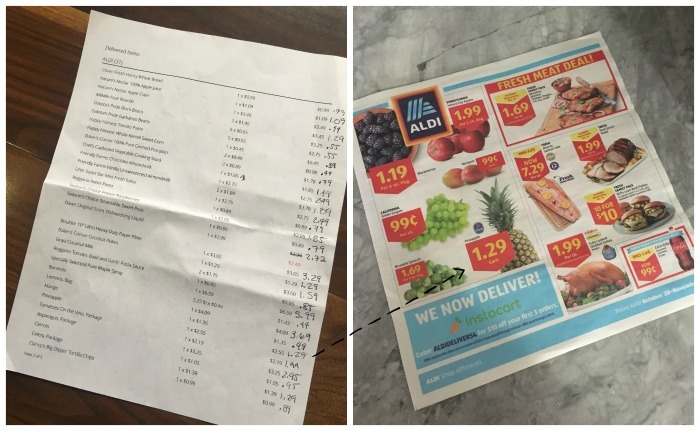 See what we thought about the Aldi grocery delivery service and if it’s really worth it! I’ve been fangirling Aldi for a longgggg time. Even though it’s gaining in popularity, I still think it’s one of the best hidden gems when it comes to reducing your monthly grocery budget. When Aldi recently announced Aldi Delivery to your home via Instacart, I literally jumped around the house in excitement. Finally, a home delivery service I could get behind. I was so ready. I’ve been shopping at Aldi for over a decade now. My first experiences were in college. As a struggling college student, the prices were unbeatable. I was able to get all the food I wanted at a fraction of the cost. When we first moved to New Jersey, there wasn’t one local to me. However, when I found one, I was so happy. Now, I realize that not everyone knows what the heck an Aldi is. So very briefly, it’s a chain grocery store that started in Germany over 40 years ago. They’re motto is that you should be able to get great quality food with everyday low prices. There are now more than 1,600 stores in the US alone and they are in 35 states. By the end of 2018, they will operate more than 2,000 stores, so if they aren’t local to you, then hopefully they will be soon. The way that they are able to get costs down is by offering no frills shopping experience. Now that everyone is brought up to spend on what Aldi is in brief, let’s talk about the new Aldi Delivery service. Aldi recently rolled out their Aldi Home Delivery service via Instacart. To use the service, you must have an Instacart Account. You can then browse the store via the different departments and have your groceries delivered in as little as one hour or schedule for a future date, up to seven days in advance. Instacart uses Personal Shoppers (much like Uber uses personal drivers) to fulfill your Instacart order. Then, when they are done shopping, they will deliver your order to your home or business. You will be kept in the loop the entire time. From the moment you checkout, you can see what step your order is on currently. Instacart will let you know they have received your order. Then, they will tell you when the shopper has started shopping. You are able to track what items have been shopped for and which are still pending. The entire time you are able to send messages to your shopper and up until checkout you can add an item if needed. 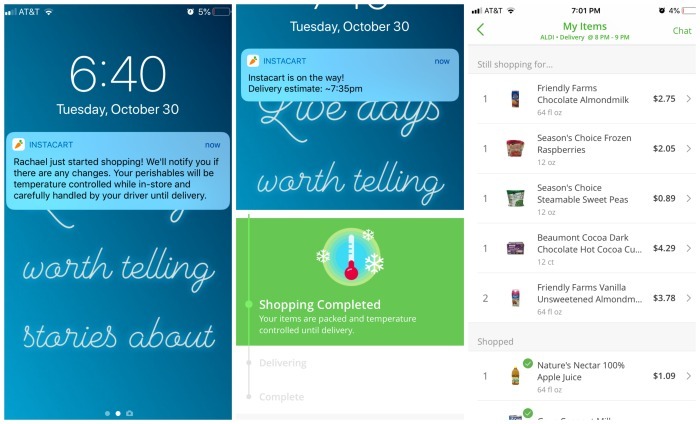 You’ll get another notification letting you know the shopper has checked out and an estimated delivery time. In between checkout time and arrival at your house, you are able to track the shoppers movement on a map and see how close they are to you. What can I order from Aldi delivery? For the most part, you can order everything that is typically inside of the store. The few exceptions are that you cannot order gift cards or alcohol at this time. One of the biggest things for me, is that you cannot order any of the weekly Aldi Finds. This is the speciality section of weekly items that Aldi gets. 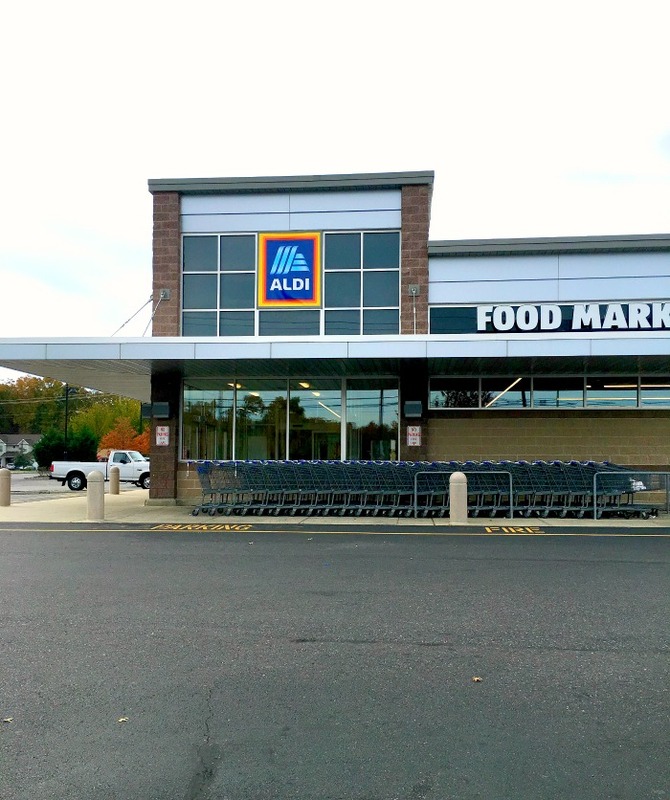 If you’ve never been inside an Aldi, every week they have a section of speciality goods, called Aldi Finds, that give you discounts on things from clothing to kitchen tools to bedding and more. None of these items are available with the Aldi Home Delivery service. What happens if an items is out of stock? One thing about shopping in-store for Aldi is that sometimes items are out of stock. Because they only carry a limited selection of items, they don’t have have a lot and sometimes runs out quickly. When using Aldi delivery service, there are a few things that happens. 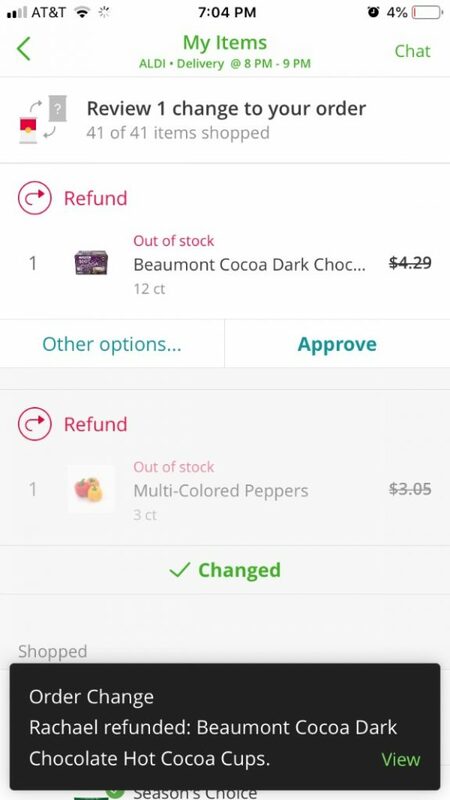 When you are in the checkout phase in the Instacart app or on the website, it will alert you if it thinks an item is low in the store. It will give you the option right then to accept a substitute for the item you selected or decline the substitution if the item really isn’t at the store. For example, it gave me the option to substitute green peppers if the multi-colored peppers weren’t available once the personal shopper arrived at my Aldi store. Once the personal shopper is in the store, if an item you selected isn’t there, the shopper will decline the item in your order and you will get a notification that you will not be receiving or be charged for that item. What happens if you aren’t home? I selected a delivery time window of 8-9pm. My Aldi delivery arrived at 7:44pm. I asked the delivery driver what would have happened if I wasn’t home until 8pm and she said that you have the option either during the checkout phase or when you get alerted the driver is on the way to ask them to leave your food at your door. Obviously, that solution won’t work for everyone, especially those who live in cities. Instacart says that shoppers will wait for the customer, reschedule the delivery, or cancel is no other solution can be attained. There may be a $15 cancellation fee. Tip: My Aldi delivery personal shopper told me that Instacart tells them to be there 15 minutes before your delivery window. So you are better off to select an hour later, if you know you won’t be home 15 minutes before your delivery window starts. The Aldi delivery costs varies on the the prices of your order. If your order is under $35, then your cost is $9.99. If the price is over $35, then the delivery cost is $5.99 . Delivery is also available in 1 hour, however, you need to add $2 to each of the above prices depending on the amount of your order. There’s also the option to get Instacart Express for orders over $35. If you have this then delivery is FREE for all orders. It does cost $99-$149 per year. If you have a delivery over $35 every week for a year, this would break down to $1.90 per week if you can get it at $99 or $2.87 if $149. Either option would be much cheaper than any of the regular options above. There is also a 5% service fee tacked onto all purchases. So for a $100 order your service fee would be around $5 and increase or decrease on that. Also, since Aldi charges for bags, there is a bag fee. Do you tip your personal shopper? Yes, you should absolutely tip your driver. Instacart gives you the option to tip at checkout based on a percentage of your order – 5%, 10%, 15% or 20%. You can also decline at checkout and tip directly with cash. Lastly, you are able to change (increase or decrease) the tip after your Aldi delivery has been made during the feedback portion. A good rule of thumb is to tip $1 per bag roughly. My tip was $5.08. I choose 5% at checkout thinking I’d receive 5 bags and that’s what I received. Are the prices the same in-store and for Aldi delivery? Aldi is known for its low prices. Whether it’s on produce, dairy products, or canned goods, Aldi can’t be rivaled on most things. It’s why I love Aldi and why many others I know love it too. When Aldi announced the home delivery service, this was my biggest fear. That I wouldn’t be happy with the service because the price inflation. And, honestly, This is one of my biggest complaints about the entire process. Instacart does state that prices on the app can be higher to cover their costs. As a small business owner myself, I completely get that. And for the most part items were marked up $0.10-0.15 per item. Some items remained the same price in store, while others were much higher. My biggest issue came with sale prices. The prices in the weekly ad are what I use to make our weekly produce purchases. It’s the way that I keep our grocery budget to $100 a week. Buying seasonally has helped us so much. Unfortunately, none of the items in the weekly sales ad reflected that price in the app. At first I thought maybe the prices would be reflected at checkout, but that simply wasn’t the case. Whatever the price was in the app is what was charged to my account. 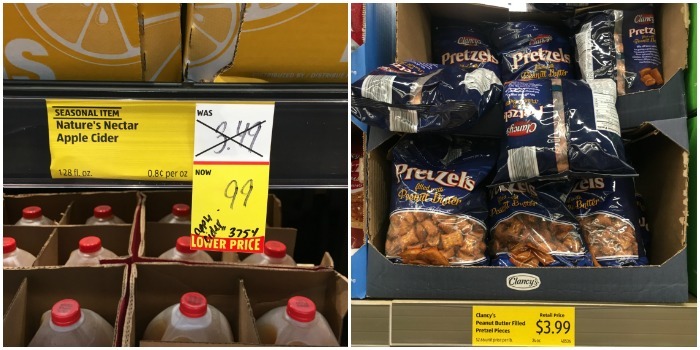 Additionally, Aldi is known to quickly reduced prices if they have too much of something. If something is reduced manually in the store, it won’t be reflected on your checkout. Pineapple is on sale for $1.29 this week. Instacart had pineapple prices at $2.55. Almost double sales price. Apple Cider is regularly $3.49 and that’s what Instacart had it listed at. However, when I went in store to price check for this post, Apple Cider was marked down to $0.99. A $2.50 reduction that wasn’t make to my purchase. Grapes were also on sale for $0.99/lb this week, but Instacart lists it at $2.05/lb. In total, based on this, I paid $11.37 more using the app vs shopping in store. I reached out to Instacart and they told me that each store that works with them is responsible for pricing, including updating sales prices. I reached out to Aldi to see if they plan to add sale prices in the future and they hadn’t responded at the time of posting this article. What happens if I’m not happy with my Aldi delivery order when it arrives? As soon as your order is delivered, you are asked to leave feedback including a star rating and a comment. If something was wrong, you can leave it in the field. It’s important to note that if you give a 5-star rating, they won’t monitor your comment. So, if something is wrong with one of your products, you can email help@instacart or call 1-888-246-7822. Aldi also stands behind their Double Back guarantee. This means that if you aren’t satisfied they will give you 100% of your money back + give you a new product at no additional cost. In order to do this, you do need to take the product and digital or printed receipt into the Aldi store. I did have an issue and was able to easily get it resolved. I wasn’t happy with the grapes that were selected for me. Also, the cucumber that I purchase was placed at the bottom of the bag and because of that was smashed on one end. I contacted Instacart and they issued a credit to my Instacart account to be used on my next purchase. I asked if I could have a refund to my bank account and they did issue that. They let me know it could take up to 7 days depending on my bank. One of my biggest complications is that the there are no ingredients listed on the Instacart app. Whether you are gluten free, dairy free, or vegan (like us now), this is a huge concern. I was able to select the products that I already know are safe, but for someone that has never shopped at Aldi before, this is a huge concern. There are so many allergies that not being able to see ingredient list is a definite problem. You are able to put notes in the Instacart app for any item and I did test this out for dietary purposes. We wanted hot chocolate, but can’t have dairy, so we requested the shopper only get the hot chocolate if there was no dairy. Since there was dairy in the hot chocolate, she declined the item in our order and that money was refunded. I loved being able to shop online, select all my items and then have it delivered to my house. I thought the communication with the app both on my phone or the computer during the entire process was very informative. It kept me in the loop the entire time. The entire delivery process was a huge weight lifted off my shoulders. Especially, not having to drive the kids, get them in and out of the car, argue over whether they can get 4,231 different snacks, and more. For me, however, I’m not sure I can justify the cost. Once I add in the delivery fee, the service fee, the bag fee, tip, and the additional food cost in app vs in store, I paid $25.44 more on just this order. That’s more than $100 a month which would tack on a whole week of grocery costs for me. If you want to test it out and you’ve never used Instacart before you can get $10 off here. Thank you for sharing this. I was tempted to try out the service but we don’t have the extra $25 a week in our budget. For now, I’ll continue to shop Aldi in person, even if it means taking the kids with me. I use aldi all the time I love the service and prices.I have no way to shop at the store so this is a lifesaver for me.